This article is a review of BELLE. Do historical costume dramas induce expectations of staid romance and simplistic social analysis? BELLE has taken the genre ingredients and crafted something fresh. It wholly satisfies where Andrea Arnold’s WUTHERING HEIGHTS fumbled the second course. In a year that has delivered LINCOLN, DJANGO UNCHAINED, CLOUD ATLAS and 12 YEARS A SLAVE, thraldom has never been so prevalent in cinema, let alone populating the multiplex. BELLE opens on a wow-inducing shot of the river Thames. London as a port is as ancient Rome was, at the peak of it powers, the centre of the western world. Galleons anchored to the horizon, Britain is a colonial empire and a slave trading capital. Based on fact, a navel captain (Goode) collects his born-out-of-wedlock mixed-race daughter from a wharf. He delivers her, Dido Elizabeth Belle Lindsay, to his uncle’s home at Kenwood House in Hampstead Village. 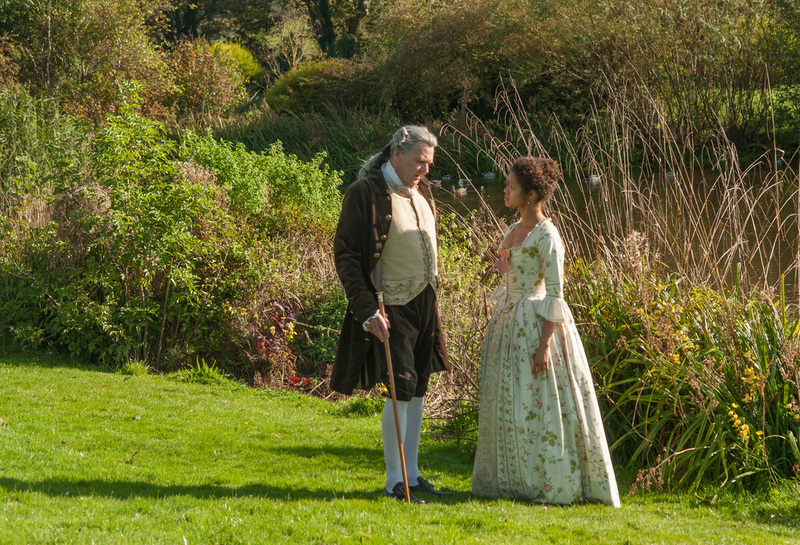 Potential societal shame for one of the most esteemed families in England is writ large across the faces of Lord Mansfield (Tom Wilkinson, eating up every scene he occupies) and wife Lady Mansfield (Emily Watson, equally mixing augustness and humanity). They agree to be guardians to Dido while John is at sea. 2. Marriage for the two young women. Nine years since Amma Asante’s heartbreaking directorial debut, A WAY OF LIFE, BELLE has been worth the wait. Nearly a decade passing has not dulled the talented filmmaker’s edge. Asante’s expertise at portraying the microcosm of individual peril and the macrocosm of society’s failings is an aptitude others can learn from. Threat to the wellbeing of Dido and Emily are apparent as the Mansfields age. Female autonomy and the Suffragette movement are centuries away. John Lindsay has passed away leaving Dido a small fortune. 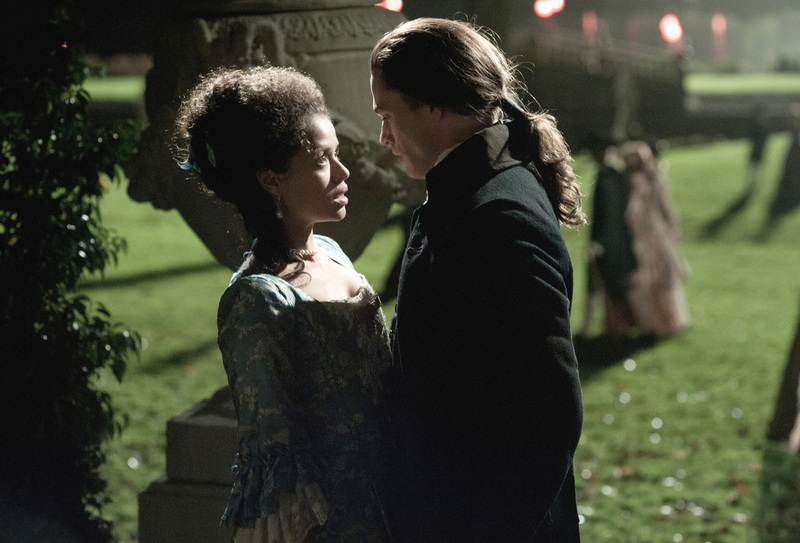 Disdain for her racial make-up still have the vultures circling for her hand in marriage; in particular: Having the name but not the means, the Ashford family’s immoral avarice is hardly contained by surface pleasantries. Not even James Ashford (Tom Felton) can conceal racist bile though – his Dracoy Malfoy spitting “mudblood” epithets in the HARRY POTTER flicks are relatively tame compared to the hate surging in his eyes here. Absent wealth, Emily has the name while still being at the mercy of the moneyed. Happiness in PRIDE AND PREJUDICE and HOWARD’S END are not so precarious. BELLE’s protagonists navigating such choppy waters would already secure it as a cut above other period cinema, cementing its ambition is a landmark legal case being heard concurrently as the marital dilemmas unfold. Lord Mansfield is also the Lord Chief Justice, the foremost judge in the land. Slavery is Britain’s biggest industry, and an insurance company is contesting compensation for the death of slaves in transit. People viewed as chattels, providing the stark reminder of reserve and manners skating over a thin veneer masking barbarism and brutality, encourage comparisons to Steven Spielberg’s AMISTAD. Matrimonial intrigue, romantic yearning, gender and racial politics, national factions at loggerheads, a cast and crew firing on all cylinders; what more can we ask for?